Latest Railway job notifications are SECR Apprentice Recruitment 2018 which is released for the hiring of 413 Apprentice Vacancy in Bilaspur, Nagpur, Raipur railway zones. Check South East Central Railway online application form from 18-08-2018 to 09-09-2018 on secr.indianrailways.gov.in. Bilaspur Railway Apprentice Recruitment 2018: A new entry in the list of railway apprentice jobs notification. The recent job notification is from the South East Central Railway recruitment section. 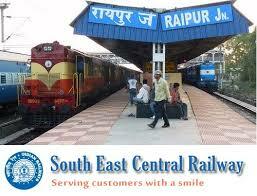 Total 413 vacancies are present in the whole region of South East Central railway zone. The detailed format of this SECR Trade Apprentice jobs notification is saved by means of this post. So all of the viewers must take a sigh towards this railway recruitment notification of the regions Bilaspur, Nagpur, Raipur. Candidates having the apprentice eligibility criteria better fill this 413 posts application form which is available in the official recruitment web portal of SECR. The deadline for this SECR Apprentice Recruitment is 09-09-2018. Before the final date, at any moment you check into the apprentice registration site to register your particulars. SECR Apprentice Online Application Form: South Central Railway is the one railway zone among the total railway zones of India. The headquarters for this region is Bilaspur. The count of the candidates who wants a career in the railway job in overall India would be the highest compared to any other jobs. That is the craze existed in our country for the railway jobs. If you are the one among them, then for your interest only we have kept this information available to you. Without losing a single point regarding this SECR recruitment whole unit of data is described one by one starting from the eligibility criteria to salary details. If you want some more adding information related to this recruitment in this post, just intimate about it, Recruitmentindia.in will update it immediately. The complete qualifications for SECR Apprentice Recruitment 2018 notification as per the job wise. Application filling individuals should have finished 10th class examination or its equivalent (under 10+2 examination system) with at least 50% marks in aggregate from recognized Board and also possess National Trade Certificate in the notified trade issued by NCVT/ SCVT. Candidates, age must be as per the SECR Apprentice Recruitment 2018 that is maximum age is 24 years. All General/Unreserved /OBC applicants have to pay Rs.100/-in the name of the application fees. Selected candidates will get the pay scale as per the norms of the SECR Bilaspur Apprentice Recruitment is as per extant rules & directives issued by Railway Board from time to time. Check SECR Apprentice Notification @secr.indianrailways.gov.in. Let’s start referring the full details for this Bilaspur Railway Apprentice notification to make your dream railway job into the possibility. All the information what the job searching candidates exactly want is presented in our page. Further clarifications of yours will be resolved if you visit the official site i.e. secr.indianrailways.gov.in. In case you may feel difficulty in searching those job details in that official site, just read the line to line information on this post. Automatically you can get the full representation of this SECR recruitment. The straight link to apply SECR Apprentice Recruitment of 413 Vacancy is the highlighted one. Why have we highlighted only the official notification and application link? Because if we are highlighted them then the candidates who came across this post will not take much time to identify the crucial points that are connected with this secr.indianrailways.gov.in Recruitment notification. More railway jobs news is shown for all the job searching people. Region-Wise South East Central Railway vacancies along with the separate application form are given here. Make a good use of all this data. Apply before the last date i.e. 09-09-2018, it’s an alert for you. mai kaise secr form fillup karunga.apprenticeship portal kaise fillup karunga.email change kana hai ki.form update nahi hota hai. Iska selection kis aadhar par hoga ya. mujhe kese pata chalega ki mera selecrion hua hai ya nahi ?? Sir mere pas certificate ni h koi b but I’m 12th pass and continue study doing kya Mai b form fil kr skta hu kya..